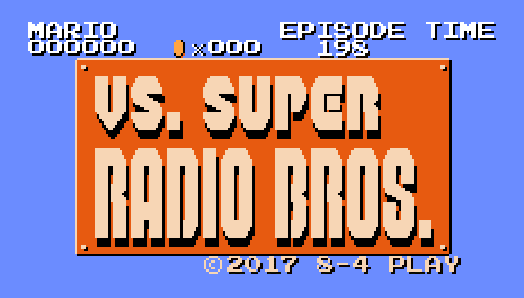 8-4 Play 12/29/2017: VS. SUPER RADIO BROS.
PUBG, Vs. Super Mario Bros., Gorogoa, RE7: Not a Hero, Tales from America, NJPW, a bonus Star Wars: The Last Jedi spoiler chat, and more! Happy New Year! 33:41 – VS. Super Mario Bros.
By 8-4	on 29 December 2017.